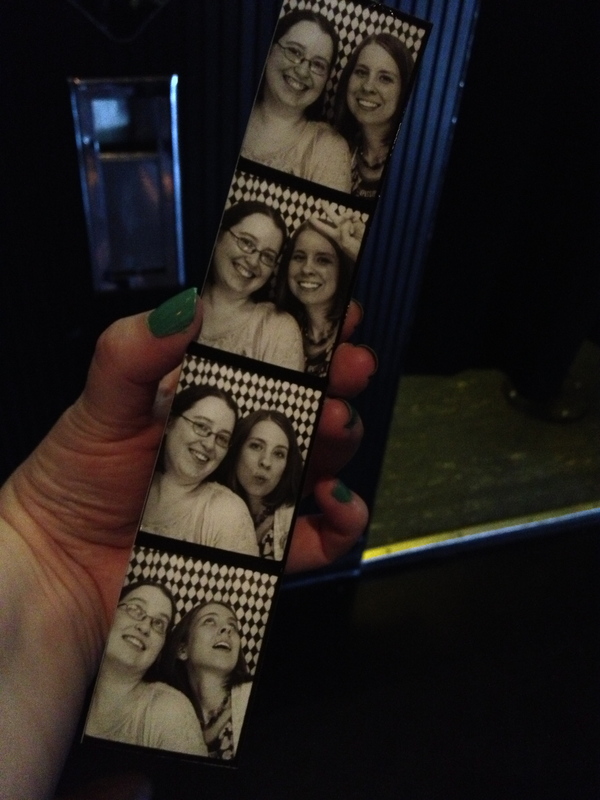 Two weeks ago, I went shopping and had drinks with my friend, Liz. Afterwards we were walking towards the bus and I suddenly announced my desire to eat a lot of tacos (as you do once you have had enough champagne). I remembered that a new Mexican restaurant, El Borracho had opened a few months ago near Pike Place Market, and decided that the moment had arrived to check it out. It was a nice day that day, so the outdoor patio was jammed, as was most of the inside, but we found a table in the back. After a short wait, a waitress arrived with the requisite chips and salsa, which I do have to note was $2 and not free like most Mexican restaurants but it was a nice mild salsa, many times the salsa is too spicy for me in Mexican restaurants, so I didn’t mind too much. We ordered guacamole to add to the chips and settled in to peruse the menu. The menu has an entire vegan section, and my friend and I both picked a burrito with soy chorizo and potatoes (and several veggies, rice and beans). The waitress that took our orders was excited to see us order vegan food, and asked if we were vegan, and told us that she has been vegan for 21 years. She created the vegan section on the menu, and I felt a lot safer ordering vegan food from her, as sometimes in non-vegan restaurants you never know if they quite understand why you care if they put chicken stock in the rice, or lard in the beans. 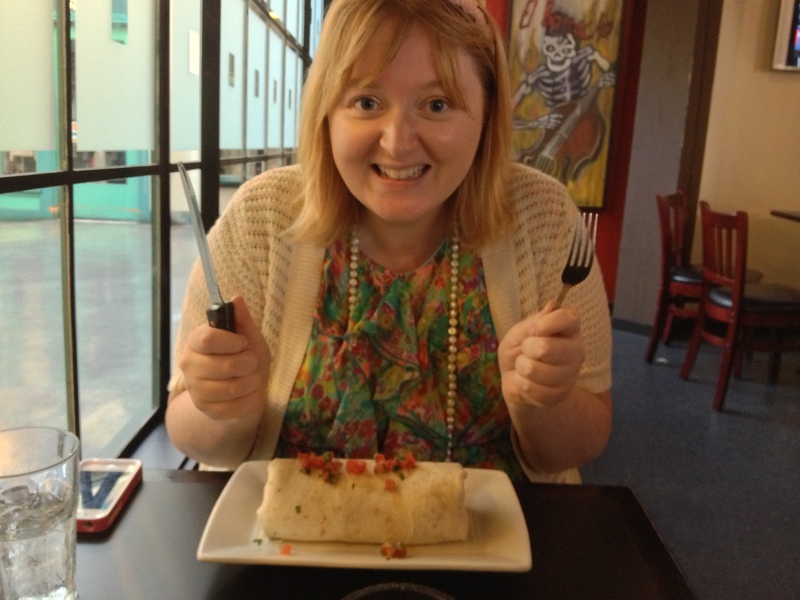 The burrito was the size of my head, with nice flavor and texture, and I had plenty of leftovers for dinner the next day as well. My one tiny complaint would be that it needed some sort of sauce, possibly a salsa to give it a little kick. 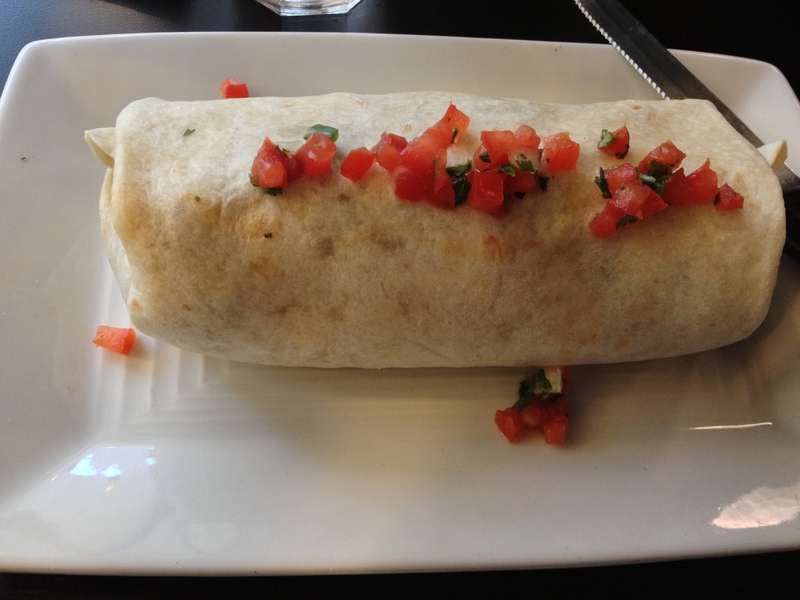 Soy chorizo and potato burrito. 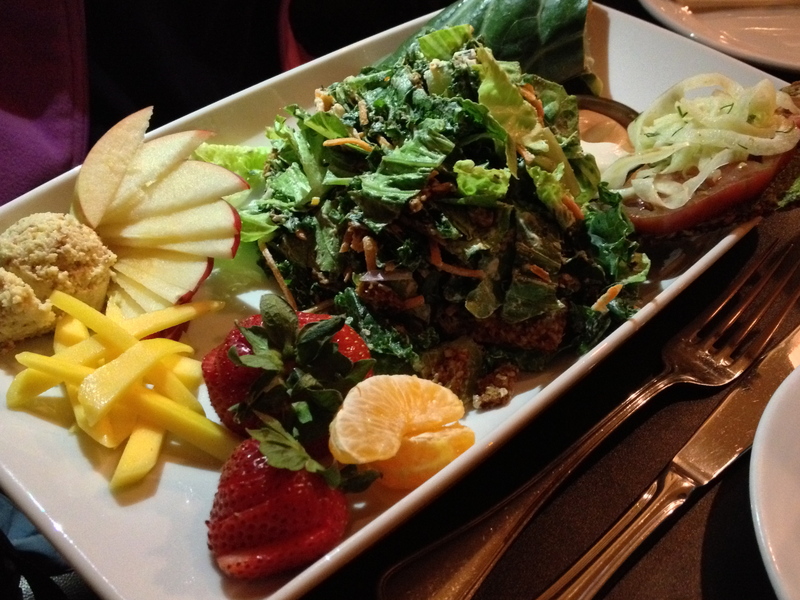 The food was tasty, reasonably priced, the service was great, and there are many more vegan options on the menu still to try, including nachos that look fantastic, which means I will be returning for sure. Now, the question is, did Liz like El Borracho too? Liz about to dig in to her burrito. I think it safe to say, yes. 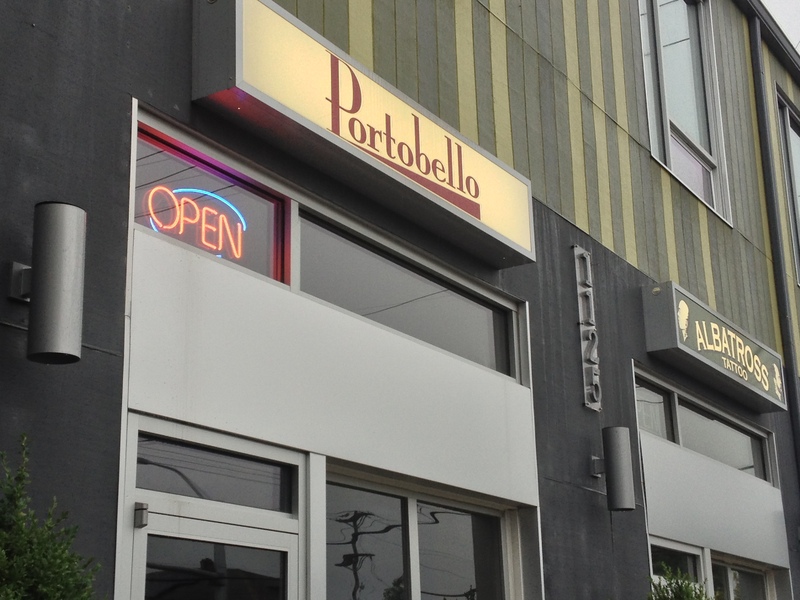 El Borracho is located at 1521 1st Ave (between Pike and Pine) in Seattle, WA. 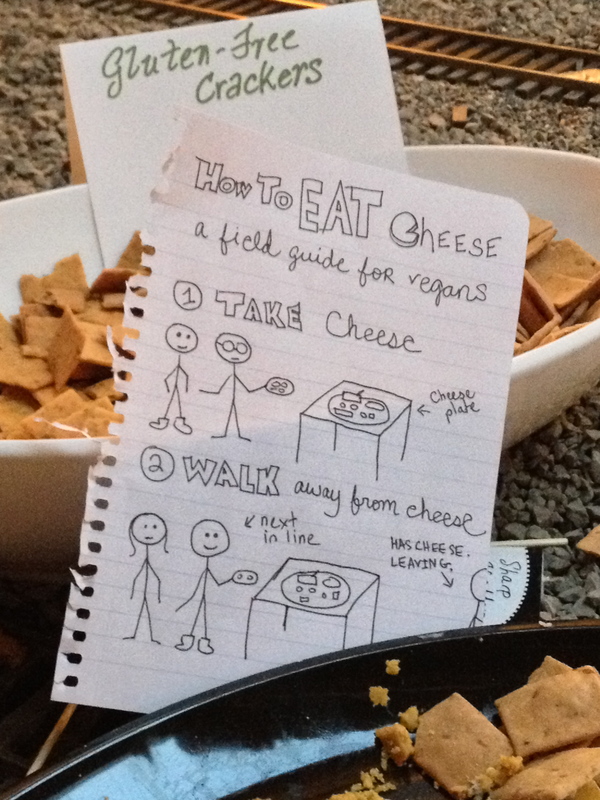 After a brief holiday hiatus, the Vegan Food Swap is back! I am a few days late in posting this, but here we are, better late than never at all, I say. I sent a package to Sydney over at Alternative Vegan, you can read her post on the goodies I sent her here. I received a package from the blog-less Sarah, with a blueberry theme. She is from Michigan which is a state of blueberry bounty (a fun fact that I didn’t know before). Soap, jam, vinaigrette and syrup. 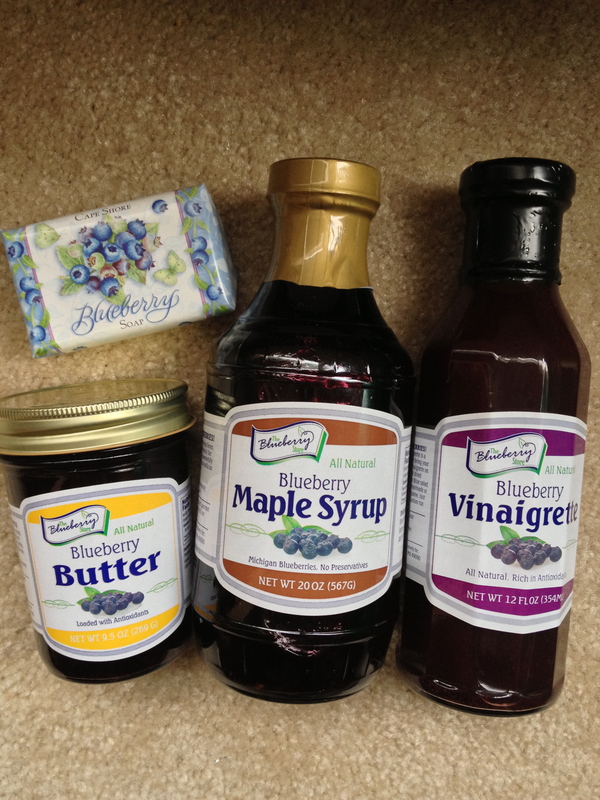 I haven’t tried any of it yet, but I love all things blueberry, so I am looking forward to using them all. The soap smells really good. Do you want to join the swapping fun for February? Head on over to The Verdant Life and sign on up! I think I am starting to get the hang of this and have spent the past couple days almost completely headache free, and what little headache I did get was very minor in comparison with the migraines I have been getting. Which happened just in time for my insurance to finally approve my having “just twelve pills a month” of the new migraine meds my doctor wants me to take if I feel a migraine coming on. I really hope to not have anywhere near twelve migraines a month with all the diet changes I am working on. Speaking of diet, what fun things did I eat the last couple days? Not much, really, but here are a couple photos of my lunches from yesterday and today. 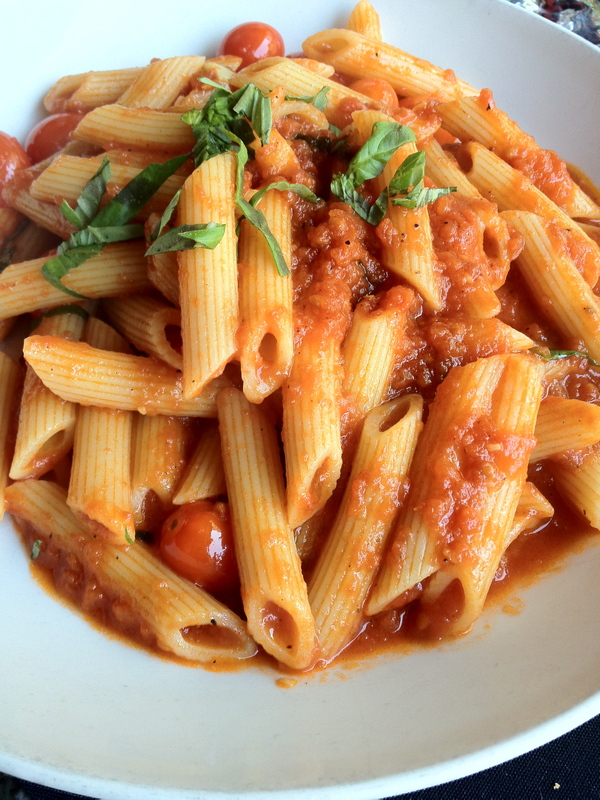 Brown rice pasta with tomato sauce and veggies. 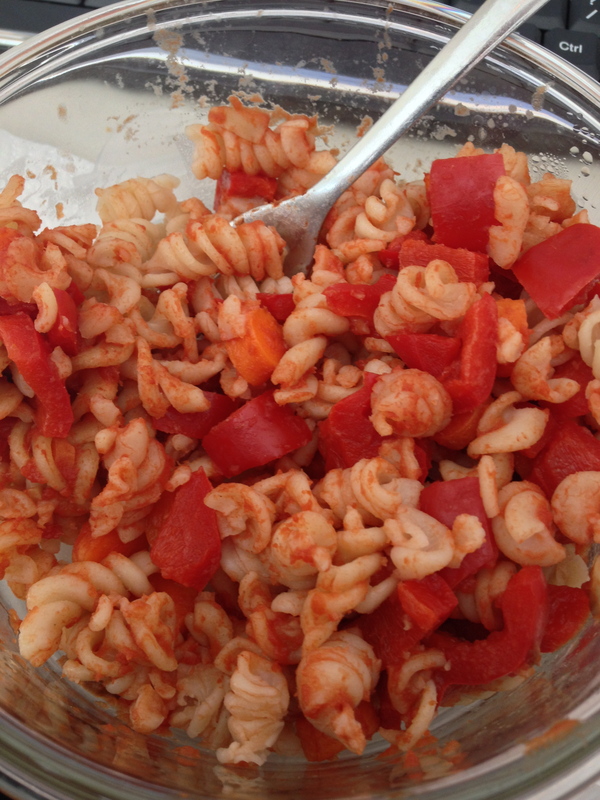 That dish is brown rice pasta with tomato sauce, red peppers, mushrooms and carrots. It was OK, the brown rice pasta got mushy when I reheated it and I didn’t cook the peppers long enough, but it had substance at least. 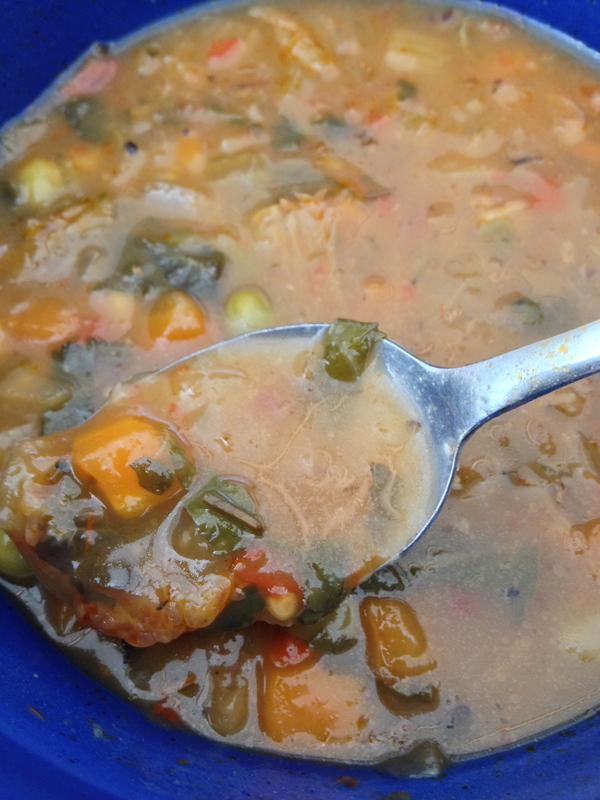 This is a bowl of the garden vegetable soup I picked up at Whole Foods. It was packed with veggies, and the ingredient label said it had soy in it, but I think it was a very little bit, and it was from soybeans, not soy protein isolate. So, even if my meals aren’t exciting, at least this diet seems to be working. 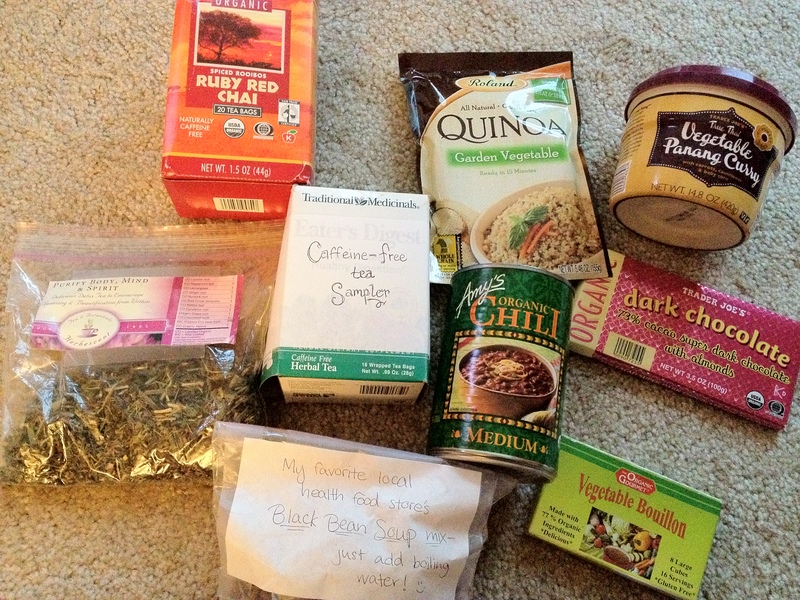 It is that time again, time to reveal the fun items I received in this month’s food swap. I can’t believe this is the 6th time I have done this, it has been such fun. If you want to join us, there is one more swap in 2012 before we take a hiatus for the holidays, just head on over to the registration page and sign on up! 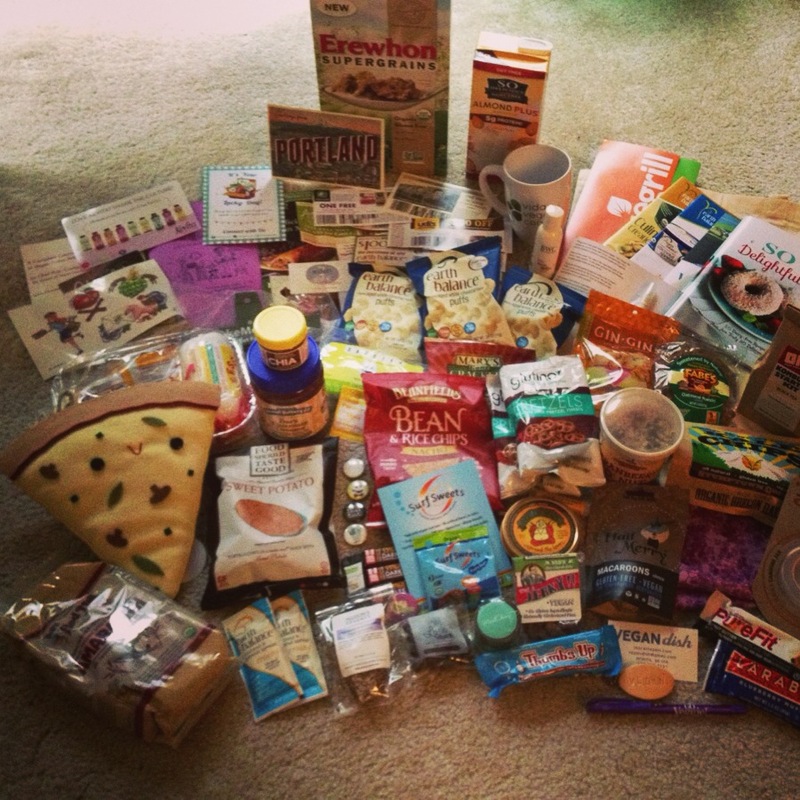 This month I sent a box to April at Beyond the Small Gate that included fancy peanut butter, candy, and veggie chips. My box came from Amberly at The Good Life and boy did she do good. She is from Portland, OR and she went with a “made in Oregon” theme. 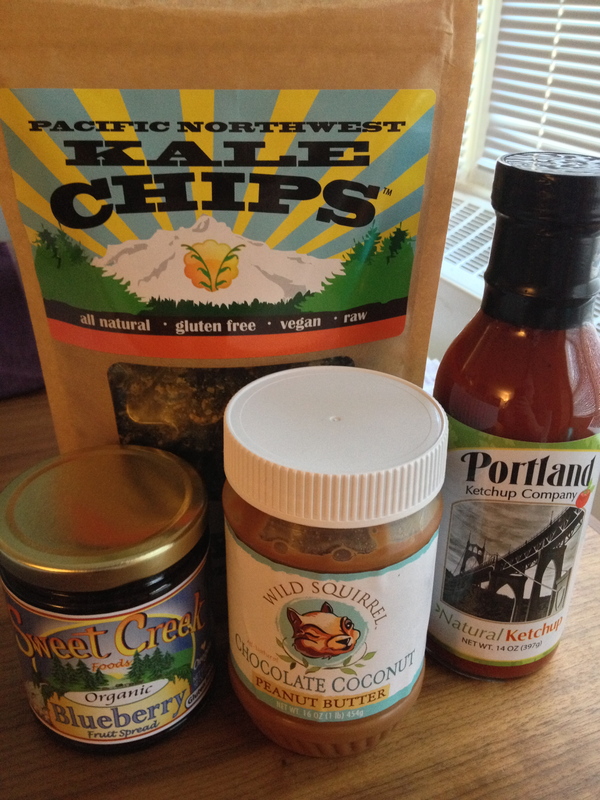 I received NW Kale Chips, blueberry jam, Portland Ketchup Company ketchup, and chocolate coconut peanut butter. I have tried the kale chips and love them. I opened the peanut butter almost immediately, and put it on toast. I have to say, I was expecting it to taste more like chocolate, but tasting like peanut butter isn’t a bad thing at all. I haven’t tried the jam or ketchup yet, but I am sure they will be wonderful. Head over to The Verdant Life to see what the other people who participated in the swap received. I went to grad school in Boston, and hadn’t been back since 2009 when I graduated. Since several of my friends still live there and Boston is one of my favorite places in the world, and I scored a great deal on airfare, it was a perfect time to go back this past June. Now, when I was in grad school I wasn’t vegan yet, or even vegetarian (except for in the dining hall, the veg option was often the least disgusting thing on the menu) so I had all new culinary territory to cover. I didn’t take pictures of everything I had, since I had a few cheese free pizzas and large salads, but here are a few pictures of the more notable things I ate. On the plane on the way to Boston I read the Veg News article on vegan ice cream (can’t find a link right now, but it is in the August 2012 issue on page 63) and discovered that JP Licks had non-dairy options. So, the first order of business was to drag my friend, T, to the Harvard Square location for sorbet. 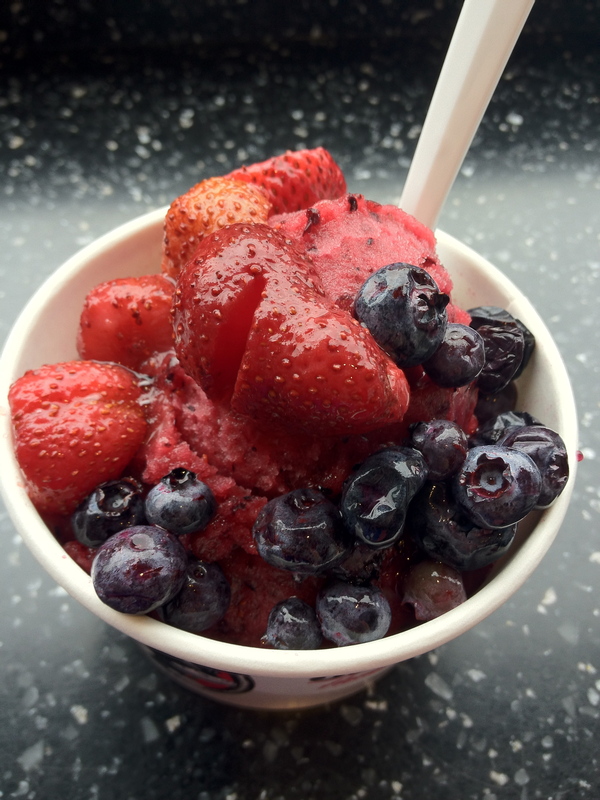 It was really good, and the woman behind the counter decided to charge me for only one topping instead of two because she said I really didn’t have that much fruit, which was nice of her. 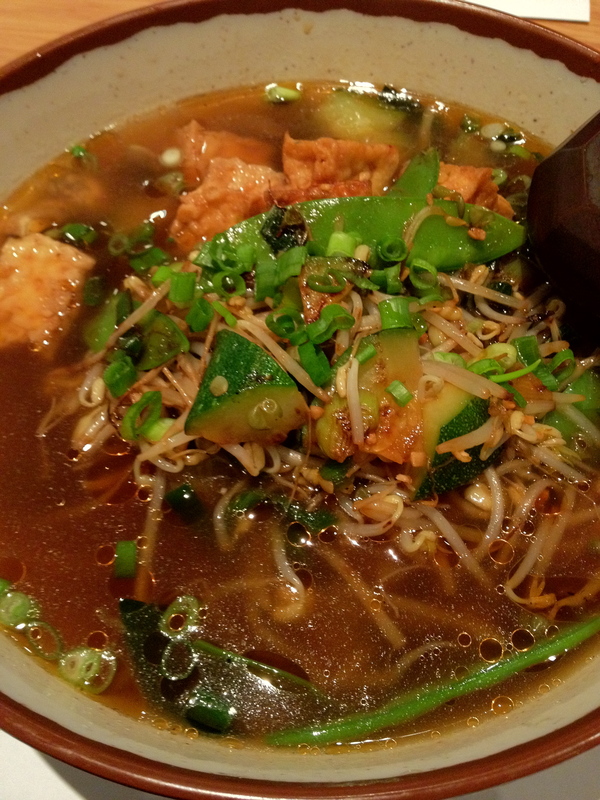 From the looks of their website, they have even better vegan options right now (soy chai, yum!) so if you are near by, go and tell me how it is! After our ice cream lunch, T and I wandered around Harvard Square for a while, then took the train back across to continue wandering around Downtown Crossing and the Boston Common. At the Common we came across one of the Clover Food Lab food trucks and decided to have a snack. 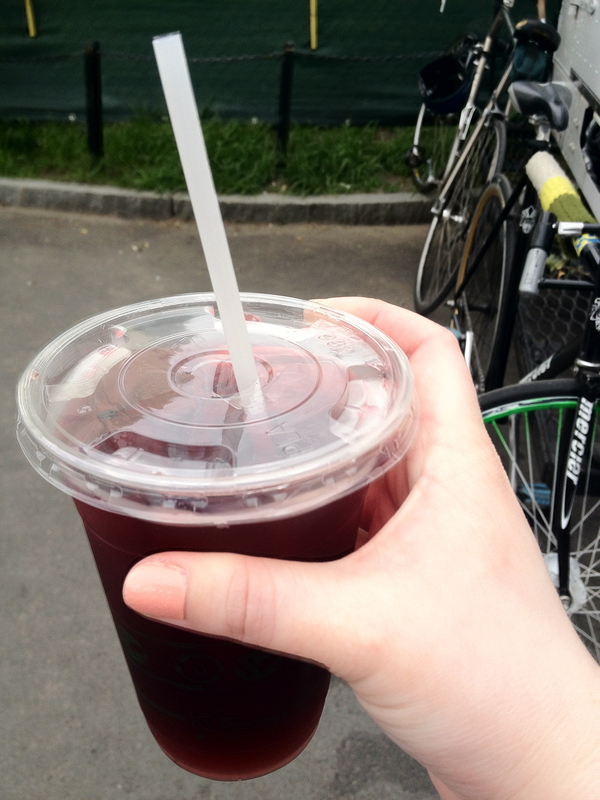 I had a chickpea fritter, rosemary french fries and some kind of lemonade (I really should write these posts in a more timely manner, then I would remember the flavor). The chickpea fritter was very flavorful and super filling, I was almost full before I even reached the chickpea part, the pita was so full of vegetables and tahini sauce. The fries were crispy and since they were tossed with fresh rosemary as we watched, the flavors were still present and the fries were still piping hot. One handed shot of the lemonade. 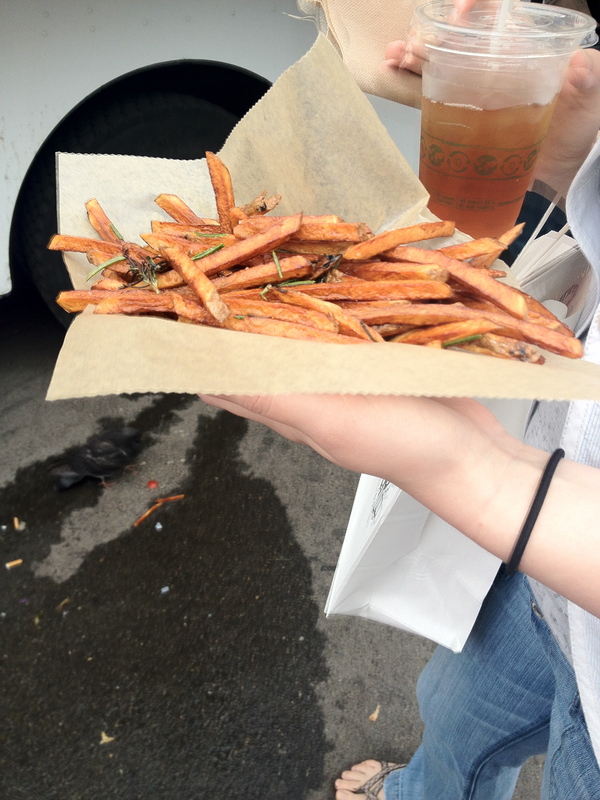 Rosemary french fries and iced tea, held by my very patient friend (hanging out with a food blogger can be a bit exhausting to those not used to documenting everything they eat). 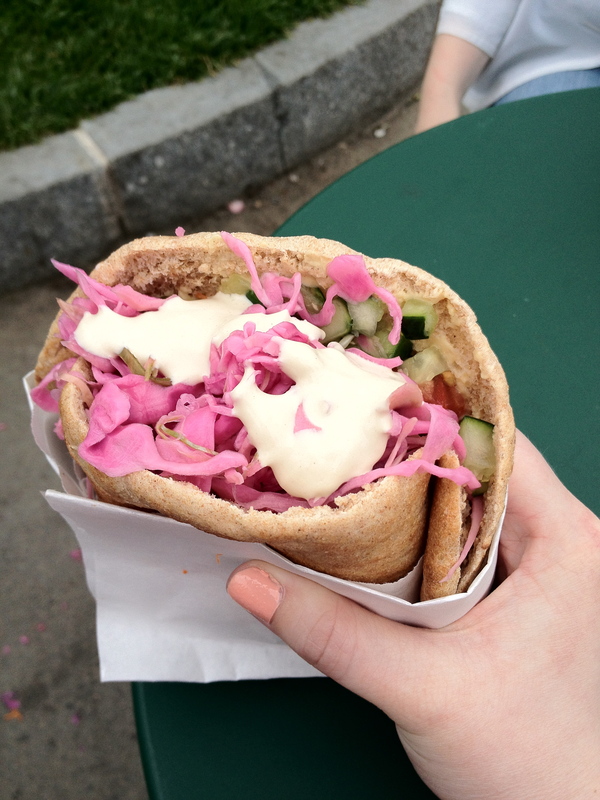 I had Clover Food Lab again a couple days later at the South Station location with another friend and it was just as delicious, even though they were out of tahini sauce the second time. The next day, another friend from grad school came in to Boston from New Hampshire for the day, and we wandered the city, shopping and taking pictures and catching up on the last three years of our lives. The morning started with a quick stop at a cafe called The South End Buttery in, you guessed it, the South End near my friend’s apartment for breakfast. The menu wasn’t terribly vegan friendly, but I had them modify a berry smoothie for me, taking the yogurt out and using soy milk instead. We ended up having lunch at the relatively new Wagamama in the Prudential Center in downtown Boston. 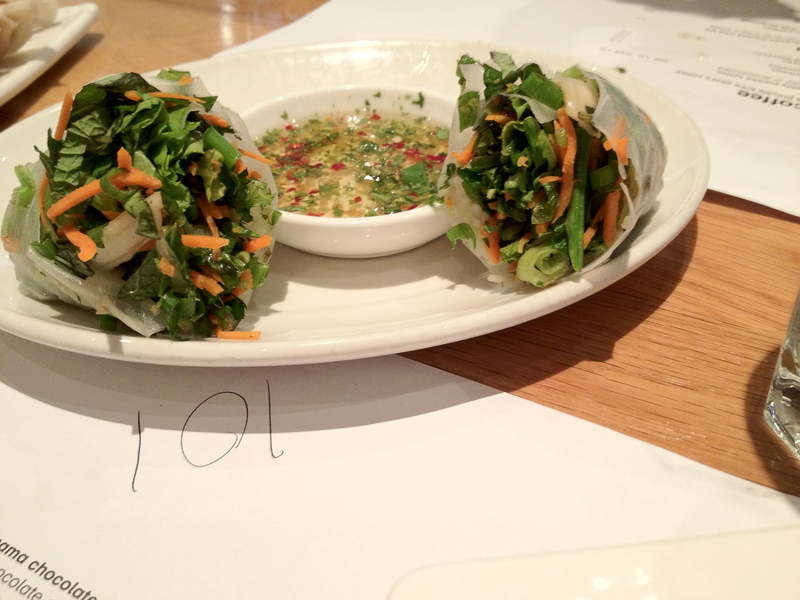 Wagamama had several vegan options on the menu, and several more items that could be made vegan. 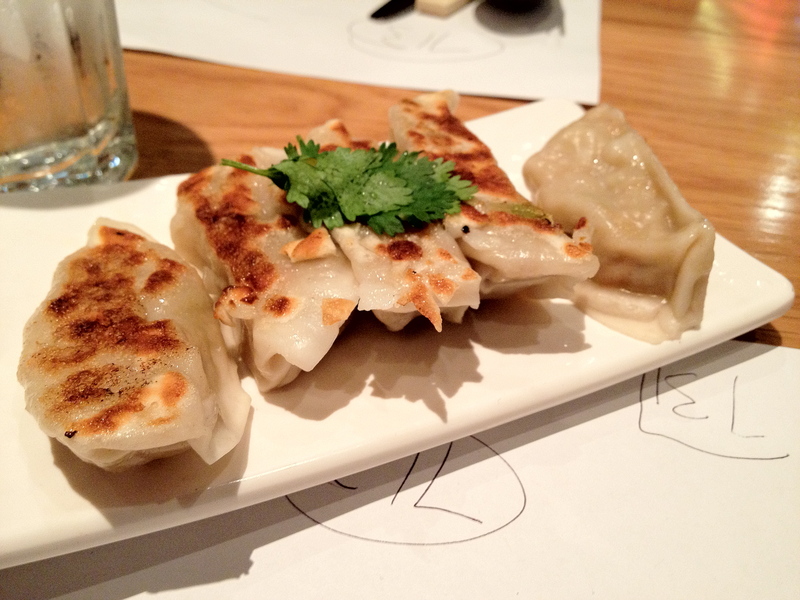 I started with the yasai gyoza (vegetable dumplings) and my friends had the summer rolls. For my main dish I had the moyashi soba, which was basically a doctored ramen, but much better, if that makes any sense. I don’t remember what my friends had for their main, but they weren’t vegan, so no pictures. 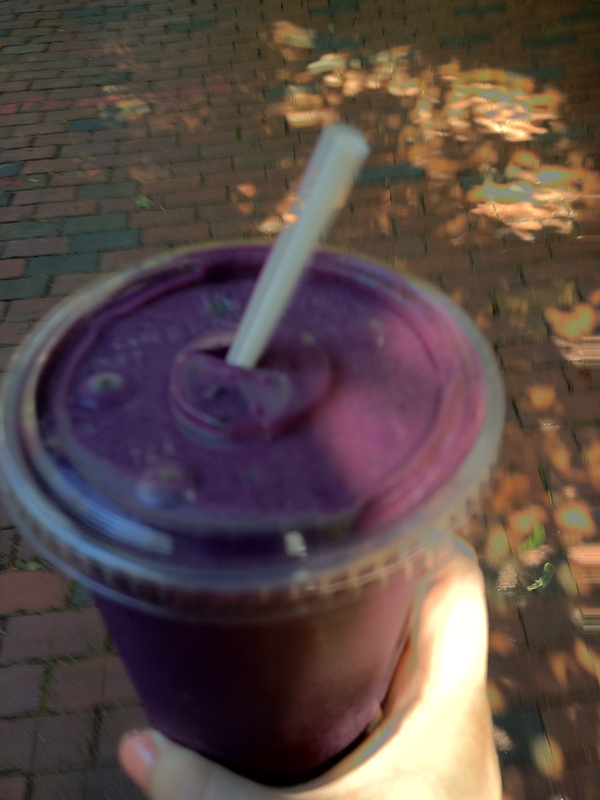 The next day I went to the North End for yoga, and lunch. I love the North End, there are so many great little Italian restaurants and I walked up Hanover street reading menus until I found a place with no crowd and a vegan sounding pasta dish on their menu. 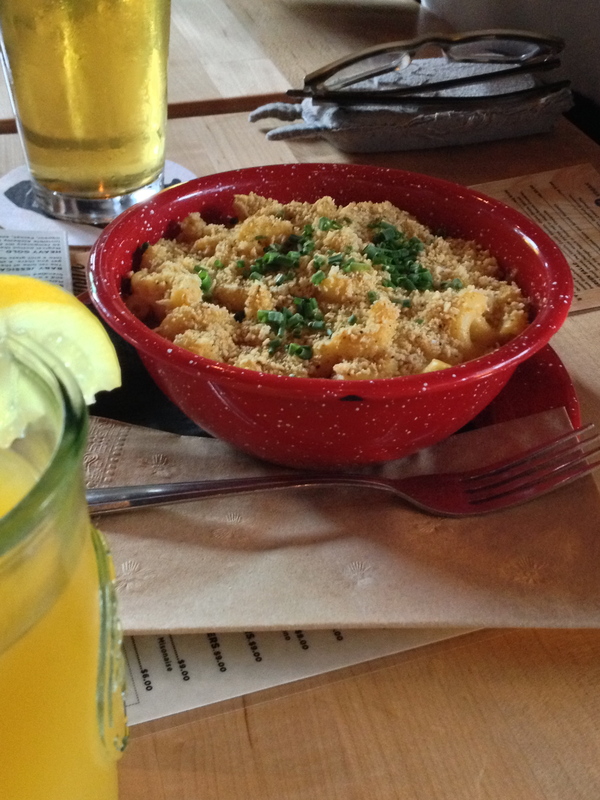 I don’t remember the name of the place, but they made me a heap of pasta with fresh tomatoes and basil. It was so simple, but perfect, especially with the glass of Sam’s summer that I accompanied it with. 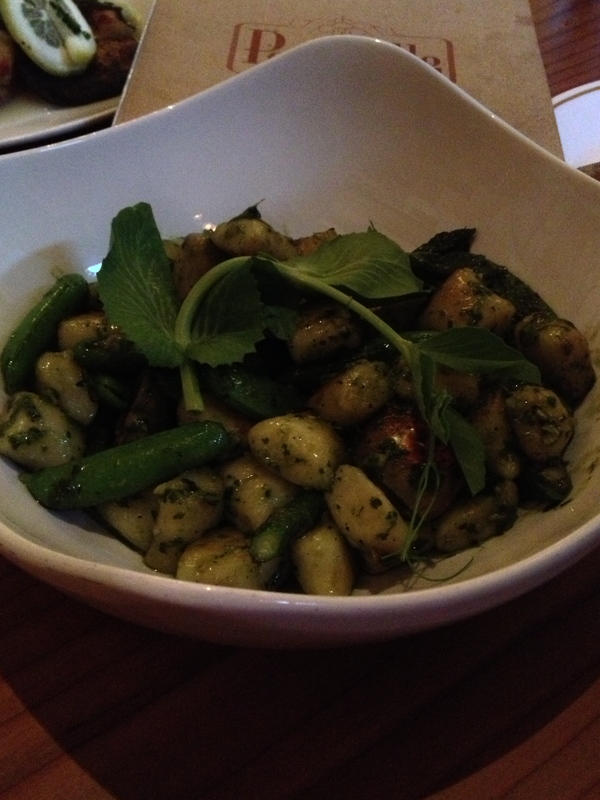 This might have been my favorite meal, most likely due to the ambience, and the sunny window I was sitting in (remember, this was June and this Seattle girl hadn’t seen proper sun in months). Overall I was pleased with my choices, but wish I had tried a few other places, but I couldn’t try everything. 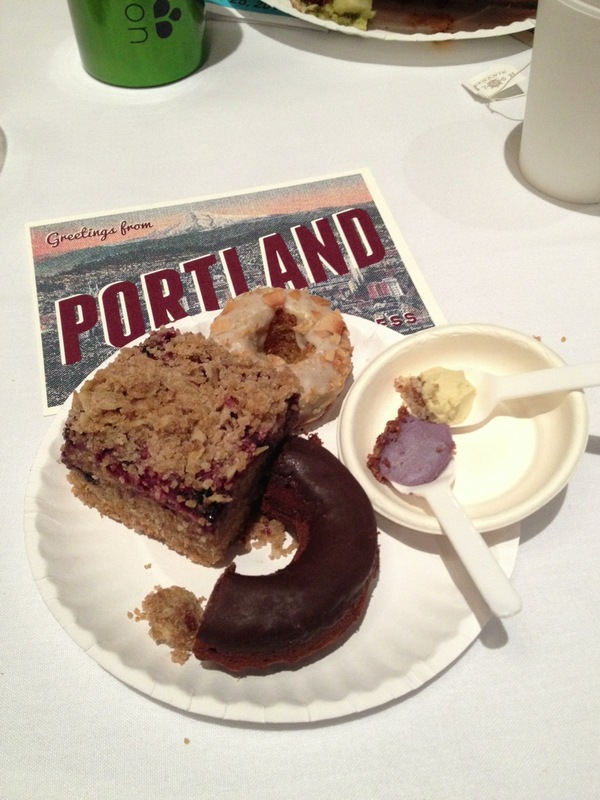 To see what is on my list for next time, read the posts about vegan eats in Boston by Vegan Miam, and Helen from Vegtastic. I participated once again in the Vegan Food Swap that Cat at The Verdant Life has been hosting for the last 5 months. 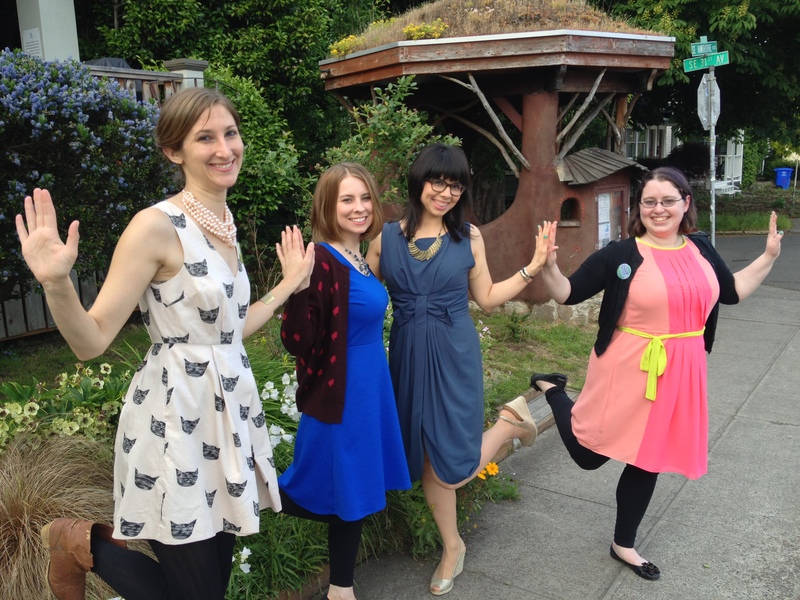 This month I was matched with Kara, who doesn’t have a blog. I told her that I liked decaf teas, dark chocolate and interesting spices. Little did I know that Kara is quite the tea aficionado and had several kinds in her collection to share with me. I need to get a diffuser so that I can use the loose tea leaves. She also sent me a bar of one of my favorite chocolates from Trader Joe’s, some veggie quinoa mix, a can of chili, a curry from Trader Joe’s, some veggie bouillon and some black bean soup mix. 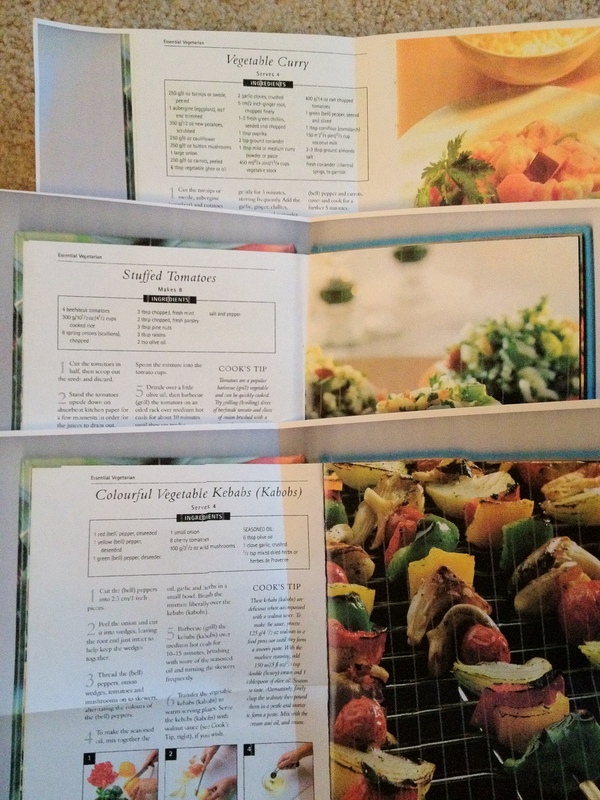 She also included scans of three of her favorite recipes for me to try. I am excited to have some new recipes to make and some new kinds of tea to keep me warm in my freezing cold office in the upcoming chilly months. Kara did a great job, don’t you think she should start a blog too? I sent a box to Rachel, who also doesn’t have a blog. My box to her was full of my favorite items found in one of my favorite local grocery stores. I included a bean mix, candy bars, veggie chips, and chai tea among other finds. I didn’t take a picture of any of it though, my month was a bit busy with a lot of traveling to my parent’s house for family events so I simply forgot to document the box I sent in all the hustle. Do you want to join us for the September swap? Head on over to the registration page at The Verdant Life to sign up.